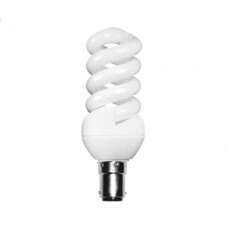 We have a wide range of extra mini CFL spiral light bulbs. 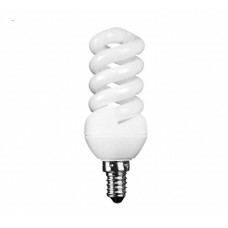 These Extra Mini versions are smaller than standard low energy CFL type lamps and come in all cap sizes and in 3 different light colours, Daylight, Cool White and Warm White. 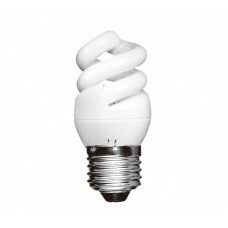 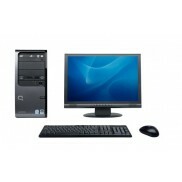 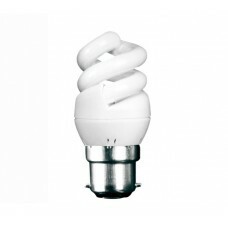 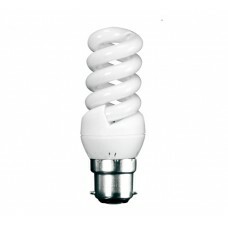 We offer these small energy saving spiral CFL lamps at some of the very cheapest prices available. 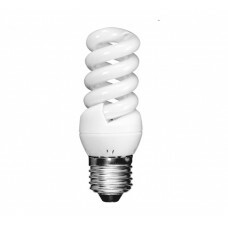 5W (25W) Bayonet / BC Light Bulb in Warm White This is an extra mini (small) and compact CFL B22..
5 Watt (25 Watt Equiv) Bayonet / BC / B22 - In Daylight White This is an extra mini (small) and ..
5W (25W) Bayonet / BC / Light Bulb in Cool White This is an extra mini (small) and compact B22 /..
5W (25W) Edison Screw / ES Light Bulb in Cool White This is a 5W (25 Watt Equiv) CFL Edison Scre..
5W (25W) Edison Screw / ES Light Bulb in Daylight White This is a 5W (25W Equiv) CFL Edison Scre..
5W (25W) Edison Screw / ES Light Bulb in Warm White This is a 5W (25 Watt Equiv) CFL Edison Scre..